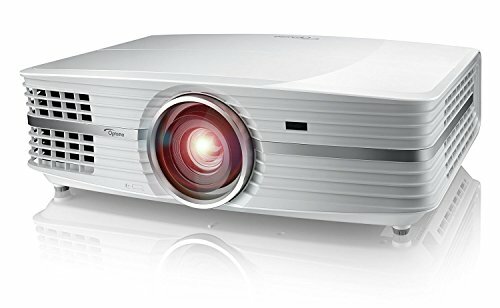 What Are the Important Considerations When Buying This Church HD Projector? Churches can use projectors in a number of ways. From presenting charts and graphs during a council meeting to allowing the youth to show videos and photos of their latest service projects, to projecting the words of songs to the entire congregation during a worship service, a powerful projector is an important piece of equipment for any church. However, there are a lot of different projectors available on the market, and this means that it can be really difficult to find the right one for a specific church. No matter the size of your church or how often you think that you will use your new projector, you want to make sure that you choose the best fit for your needs. Rather than trying to choose a projector on your own, this guide will make it easy for you to find the right one for your church and help you enjoy peace of mind that you made a good decision. It’s important to consider not only how the projector will be used, but also the pros and cons of it so that churches can be sure that they make the best decision. 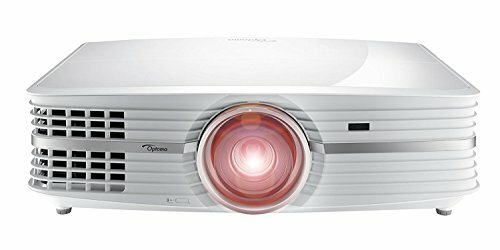 The Optoma UHD60 is, hands down, one of the best projectors on the market. It is loaded with features that make it perfect for use during staff or council meetings and is also great for use during worship. Buying a new projector is a huge decision, and there are a few things in particular that you will want to consider when purchasing a projector for use at your church. Brightness- the brightness of a projector plays a huge role in how easy it will be seen in certain settings. When you are going to be using your projector in a darker location, then you don’t need to worry as much about the lumens rating. 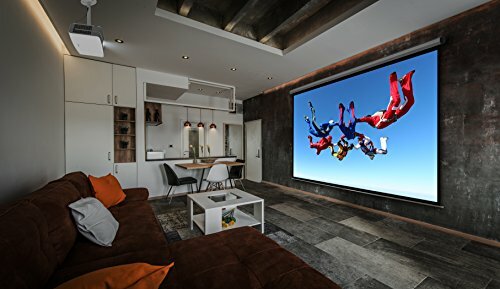 However, if there is a lot of ambient light where you will use your projector, then you want one with a higher rating so that it can easily be seen. Resolution – while some projectors with lower resolutions may be perfect for showing presentations, users who are going to be projecting videos and pictures will want to choose a projector with a higher resolution so that the picture is clear, crisp, and easy to see. Connectivity – some projectors have a host of connectivity options, which is great for use in a very technologically advanced church. Others, on the other hand, rely on a VGA port. The type of connectivity that you choose will depend on what type of technology is used in the church and if the projector will be easy to connect and to use. 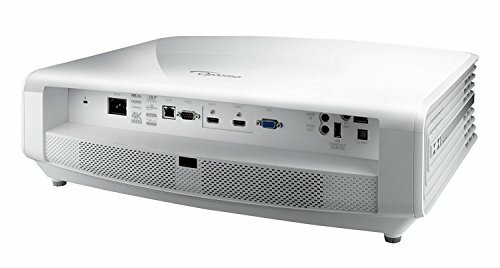 The Optoma UHD60 is packed with great features that make it an obvious choice for any church looking for a powerful, reliable, and durable projector. It projects stunning videos and photos thanks to the wide color gamut that it offers, as well as the true 4K UHD resolution. It has an impressive 8.3 million pixels, which means that all images are true-to-life, bright, clear, and easy to use. 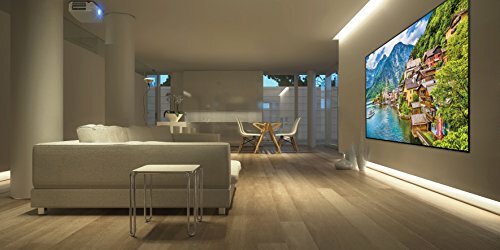 Additionally, it can project an incredibly large picture, which means that you can sit farther away and still enjoy optimum picture quality. Being able to sit up to 10 feet away and still enjoy premium quality ensures that you get the most out of the experience. Even people sitting farther away will appreciate the picture quality that the Optoma UHD60 projects. The Optoma UHD60 is loaded with UltraDetail technology. This makes it easy for users to rely on fine adjustments to fix the sharpness and clarity of their image. The result is in an impressively clear and detailed image that looks real. With the flexible zoom, throw, and shift technology, it’s easy to use the Optoma UHD60 in a variety of different spaces and with screens of varying sizes without any decrease in picture quality. 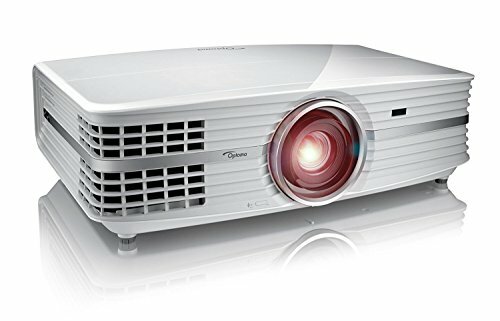 Every projector is going to have its own set of pros and cons, and the Optoma UHD60 is no exception. However, as you will see, the pros of this powerful piece of equipment clearly outweigh the few cons. One great pro of the Optoma UHD60 is that it offers an incredibly sharp image. It is a 4K projector, and the difference between 4K and a regular projector is pretty impressive. Additionally, this is a bright projector. It offers incredible contrast that makes pictures, videos, and charts really pop from the screen and does a great job showing a bright image, which is ideal for locations that have some ambient light. Another pro is that the Optoma UHD60 is surprisingly affordable for being as powerful as it is. It is a great option for any church looking for a 4K projector, but who isn’t willing to overspend. Finally, this projector relies on a single DLP chip system for the best possible alignment, resulting in fast and easy setup and use. There are some cons of the Optoma UHD60, and one is that the HDMI ports can tend to fail with regular use. Another problem that some users experience is that this projector will sometimes cast a purple saturation haze on white objects. As you can see, there is a lot to love about the Optoma UHD60. It’s priced surprisingly low given all of the features and benefits that it offers, which makes it a great choice for any church looking for a projector. 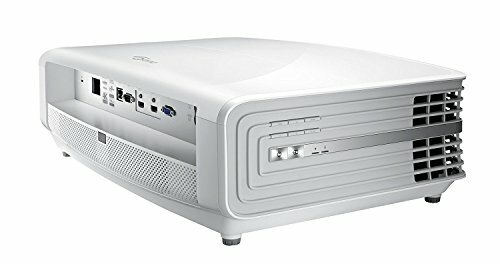 Thanks to the two HDMI ports, two USB ports, and remote, not only is this projector fairly easy to connect and start using, but also easy to control and to adjust. It also boasts incredibly quiet fan noise. While this may not seem like a big deal to some people, a loud projector fan can easily ruin any performance during a church service and can be a huge distraction for members of all ages. The Optoma UHD60 really excels at producing high-quality pictures and videos thanks to its wonderful color balance, HDR, lens shift, zoom range, and impressive contrast. Together, all of these features create a projector that is designed to be user-friendly, but powerful enough to stand up to daily use. 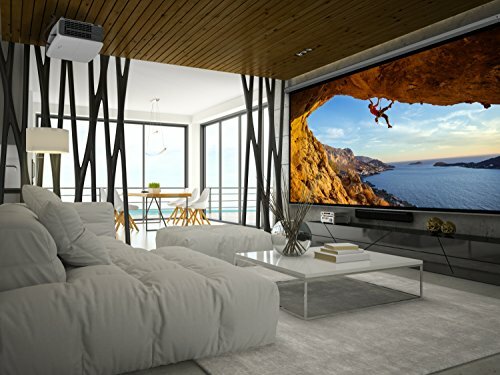 While there is always a trade-off when you are shopping for this type of equipment, the trade-offs of the Optoma UHD60 are not terribly concerning and will not negatively affect the experience that you have operating and enjoying this projector.